TRACTOR KUBOTA L3200 W/ LOADER Rentals Ft. Collins CO, Where to Rent TRACTOR KUBOTA L3200 W/ LOADER in Ft. Collins, Wellington, Greeley, LaPorte, Loveland, Windsor CO and all of Northern Colorado. 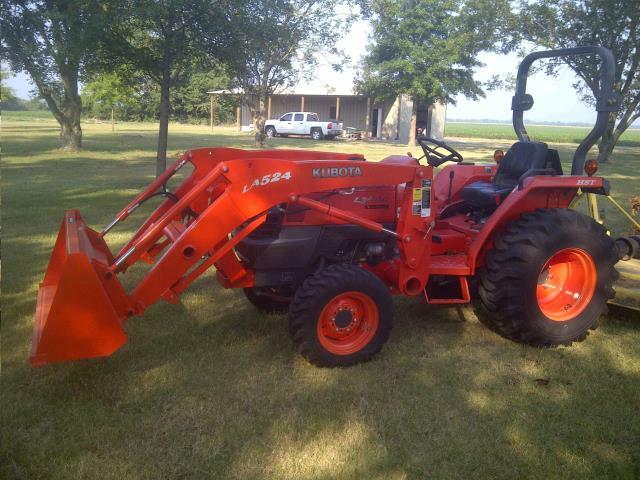 Compact Tractor with a Loader, Kubota 4 wheel drive. The Rental Rate includes the loader and a box scraper with ripper teeth. Loader lifts 1000 lbs Max. Pin clearance 97" Clearance w/bucket dumped 76"
Day Rate = 8 hours on the meter. Diesel fuel is additional, consumption estimate 1 gph Tank holds 7 gal. Tractor height to top of rops is 84.5"
* Please call us for any questions on our tractor kubota l3200 w/ loader rentals in Fort Collins, Wellington, Greeley, LaPorte, Loveland, Windsor CO and all of Northern Colorado.